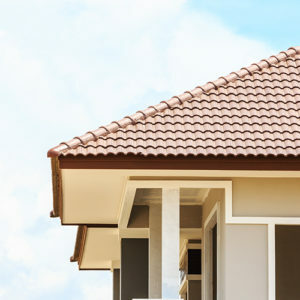 Tile roofing offers a beautiful look to any property, from historic homes to modern builds, while also providing a variety benefits to the homeowners who choose it. Tile is frequently made out of either concrete or clay. These materials offer remarkable durability that affords you incredible protection against even the most severe weather. Tile has proven itself a tough opponent against strong winds, hail, and even earthquakes that might shake your roofing apart! This might be hard for some buyers to believe, but those homeowners with tile roofing understand just how strong this material can be! Tile roofing is also Class-A rated for fire safety, protecting your home in one of two ways. First, tile can protect your home from possible, external hazards. This might include things that could land on your roof and start a fire, such as fireworks or sparks from a backyard firepit. Because tile isn’t very combustible, it acts as a protective layer against these types of threats. Tile roofing also offers protection during existing fires in your home. Since fire and heat tend to rise, your roof can be one way for a fire to spread. Since tile is less likely to burn, it can help keep fires contained until emergency services arrive to extinguish the blaze! Tile roofing does have its disadvantages, many of which are caused from the very material that gives it its strength and durability. Because tile is made of concrete or clay, it also means they tend to be remarkable heavy as well. The added weight on your home’s frame can result in the need for additional structural reinforcements. This isn’t necessarily an issue, so long as you’re aware of the added time and expense that might be added to your project. Since tile can already be costly, per unit, some homeowners might be turned off by the list of expenses that can quickly add up.